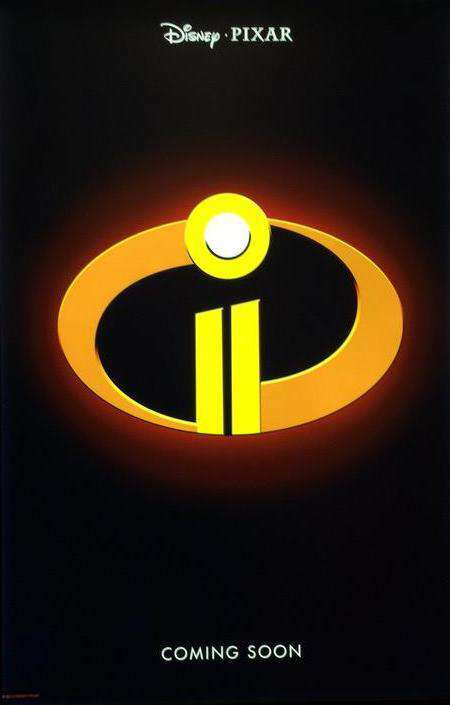 The Incredibles sequel is finally starting to come into view, and Disney Pixar released some work in progress footage of the anticipated film at D23. ComicBook.com's Brandon Davis was on hand at the Disney Animation panel where an exclusive clip was played for the audience. You can find the description of the footage, which they described as being in development, below. "Jack Jack sits on Bob's lap and watches a robbery on television. He compares the robber to a raccoon eating from the trash and now wants to attack the raccoon. He uses his powers to move through a glass door, takes the chicken leg from the raccoon, puts it back in the trash, and puts the lid on the trash." "He and the raccoon get into a wrestling match through the yard. Jack Jack kicks him through a lawn chair before igniting with fire, throwing chairs out of his way, and approaching the raccoon. A mess ensues and the raccoon is left running from Jack Jack's laser eyes. Jack Jack catches him in an umbrella and ends up wrestling him again, with the raccoon grabbing onto him and getting caught as he becomes a mushy, sticky substance. Bob runs out and tries to stop him, scooping Jack Jack up, but Jack Jack forms into five versions of himself. Bob picks them all up and he becomes one again. Bob is ecstatic to learn his son has powers." While fans learned of Jack Jack's abilities towards the end of the original, the family has no idea he has any powers. That will factor substantially into the sequels' plot. The cast includes Craig T. Nelson, Holly Hunter, Sarah Mount, Huck Milner, and Samuel L. Jackson. Pixar's next effort is Coco, which currently has a 2.41 out of 5 on ComicBook.com's anticipation rankings, and you can submit your rating here. The official description is located below. Despite his family’s baffling generations-old ban on music, Miguel (voice of newcomer Anthony Gonzalez) dreams of becoming an accomplished musician like his idol, Ernesto de la Cruz (voice of Benjamin Bratt). Desperate to prove his talent, Miguel finds himself magically transported to the stunning and colorful Land of the Dead following a mysterious chain of events. Along the way, he meets charming trickster Hector (voice of Gael García Bernal), and together, they set off on an extraordinary journey to unlock the real story behind Miguel's family history. Cars 3 is currently in theaters, with Coco heading to the big screen on November 22, 2017. Toy Story 4 lands on June 15, 2018, followed by The Incredibles 2 on June 15, 2018.